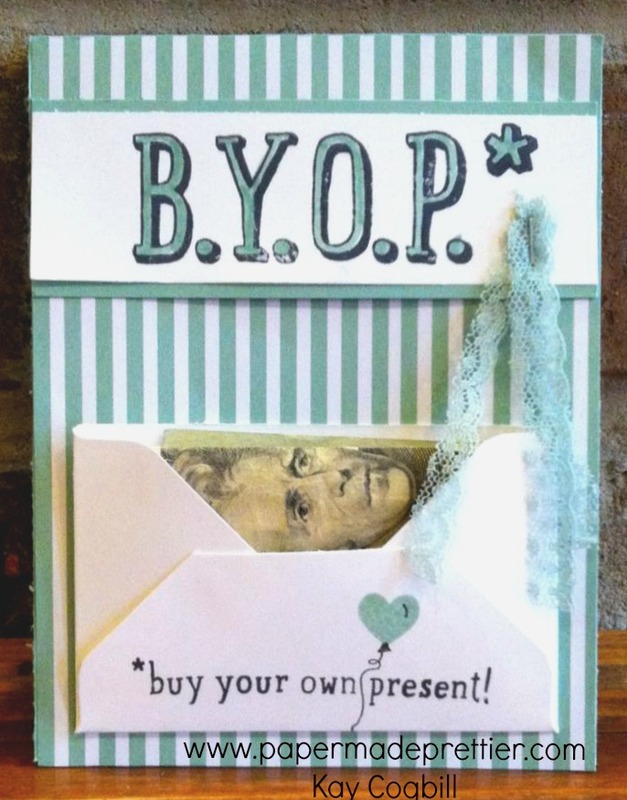 papermadeprettier: B.Y.O.P. On Stage Swaps featuring In Colors! 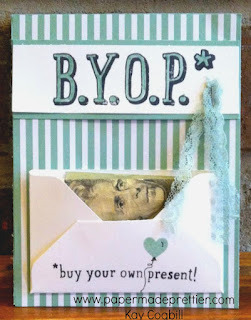 B.Y.O.P. On Stage Swaps featuring In Colors! I wanted to make something extra-special and wonderful for my On Stage Live Salt Lake City convention swaps this year. I LOVE this bold designs of the In Color Envelope Paper and In Color Designer Series Stack featuring the 2015-2017 In Colors: Cucumber Crush, Mint Macaron, Delightful Dijon, Tip Top Taupe and Watermelon Wonder. I cased a layout from Aly Schillng at Alystamps.com that I saw on Pinterest. Very clever! I had posted this awhile back and look how cute it is with cold hard cash inside! Here is my Fantastic Creating Success Training Group at our Full Sized card swap. 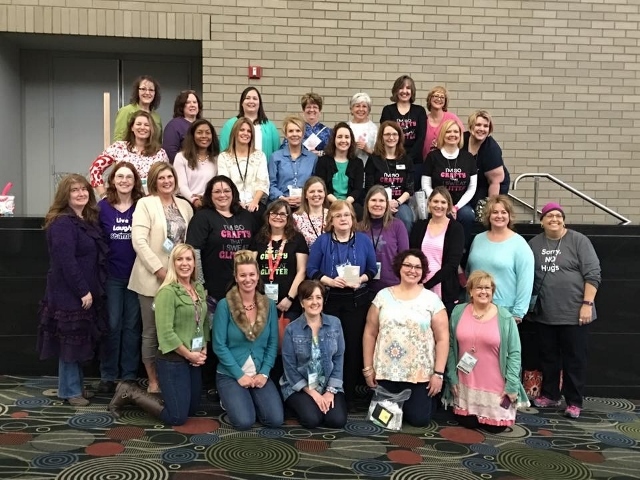 These ladies are one of the main reasons my Stampin' Up business has thrived! Thanks Ronda Wade and Selene Kempton!